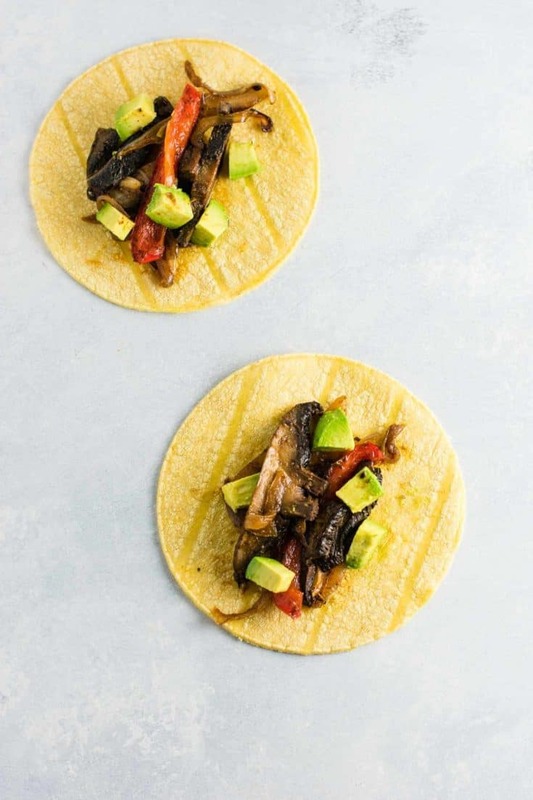 Say hello to a delicious and easy vegan weeknight dinner: these 30 minute vegan portobello fajitas. We’ve made these two weeks in a row now and I am in love. I love fajitas, but I don’t want to stand around babying a skillet for 20-40 minutes if I don’t have to. I bypassed the stovetop altogether for this recipe and there’s no turning back! The only work you have to do is chop up some veggies and the oven does the rest of the work for you. Many recipes call for low and slow cook time, but I’m all about convenience. 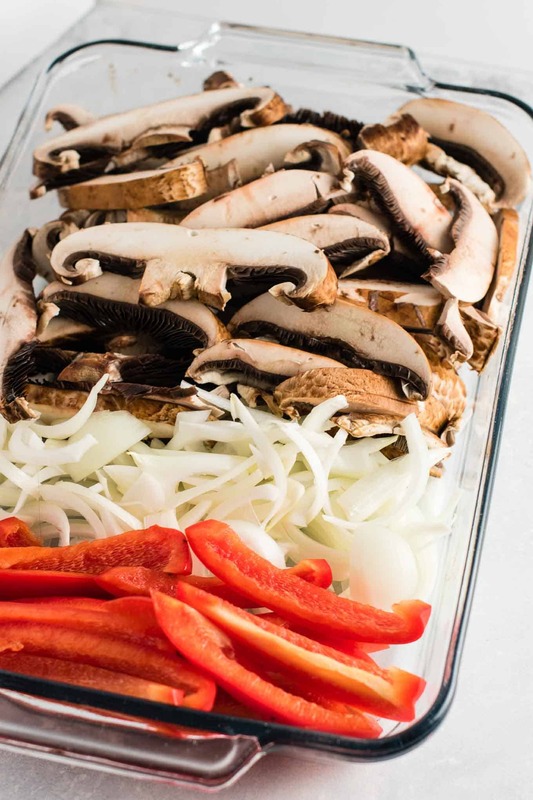 If we roast these fajita veggies at 450 degrees then dinner is ready in less than 30 minutes. It is an obvious choice for me! 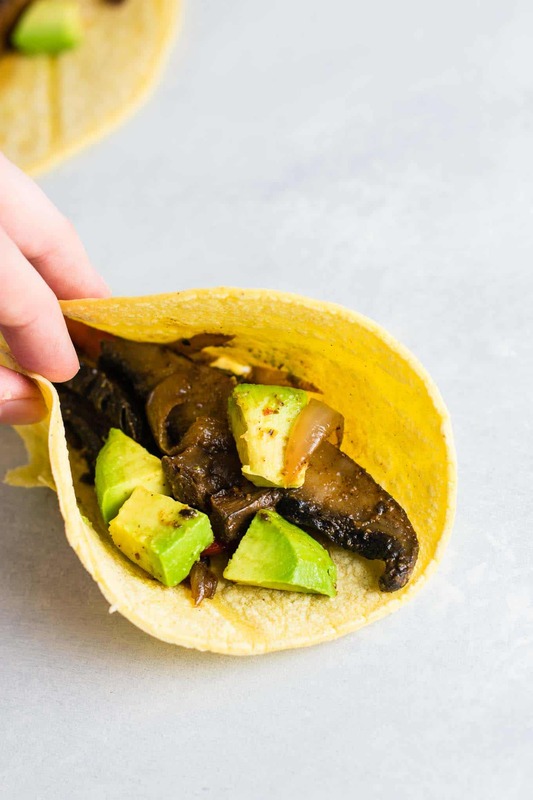 This is one of the few recipes that I would willingly eat straight from the pan (tortillas are optional in my opinion). I ate 1/3 of this recipe with avocado and no tortilla and I could have eaten the whole pan it was so delicious! 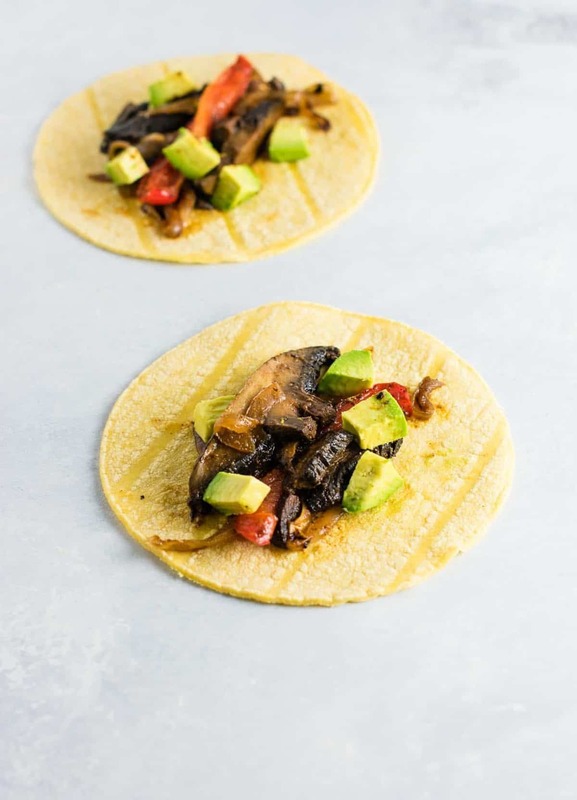 The flavor from the spices gives it that smoky fajita taste and the mushrooms are indescribably delicious when roasted this way. Robbie and I were eating mushrooms straight from the pan. This would be a great dinner to make for Taco Tuesday! Don’t forget to tag me in your recipe creations on Instagram, follow me @buildyourbite and #buildyourbite when you make one of my recipes! 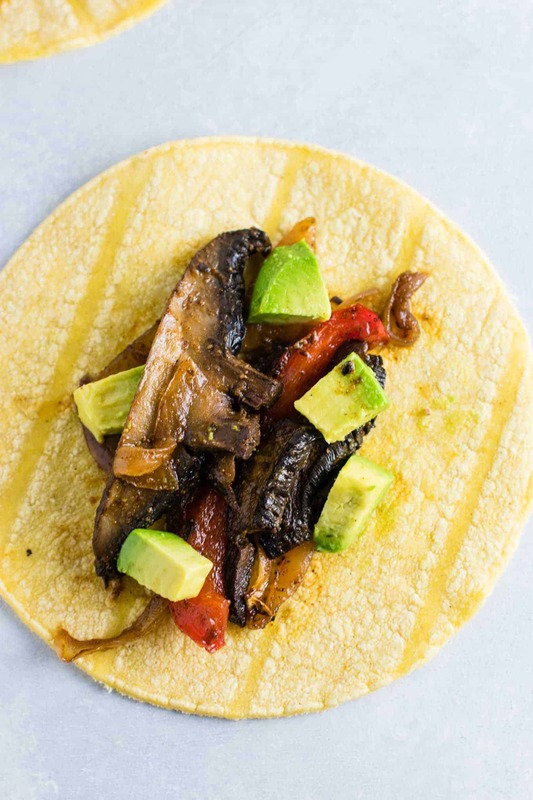 These 30 minute vegan portobello fajitas have all of the flavor of slow roasting without the time!